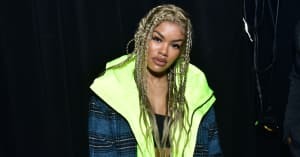 After releasing just last week, Teyana Taylor has shared that she is making changes to and plans to re-release her album KTSE. In an interview with Big Boy's Neighborhood on Power 106 in Los Angeles today, the GOOD Music singer explained that she has some improvements she wants to make to the current body of work. When asked why Taylor didn't push back the release date, she said, "I think it was more of an misunderstanding." Taylor also explained that samples not being cleared in time, and overall executive decisions from Kanye were reasons why the album didn't come out as she had expected. The KTSE singer stressed that all conversations about changes and updates were all in good faith and that the upcoming project will release next week. Thumbnail image courtesy of Ser Baffo via Getty Images.